CellVue® Burgundy Mini Kit For Membrane Labeling | Polysciences, Inc. 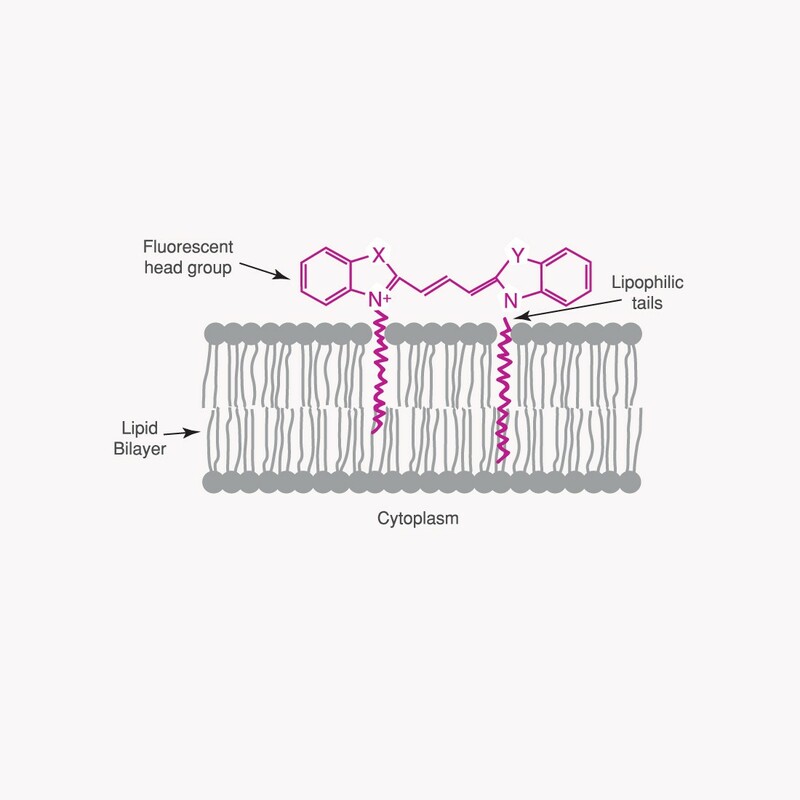 The CellVue® Burgundy cell linker kit uses proprietary membrane labeling technology to stably incorporate a fluorescent dye with long aliphatic tails (CellVue® Burgundy) into lipid regions of the cell membrane (1). The pattern of staining is dependent upon the cell type being labeled and the membranes of the cells (2, 3). CellVue® Burgundy, a far red/near infrared fluorescent cell linker has been reported to be useful for cell tracking in isolated organ preparations applications (4). The CellVue® Burgundy Fluorescent Cell Linker Kit contains a 1mM dye stock solution and cell labeling diluent. Dye fluorescence properties: Ex max=683nm and Em max=707nm. Provides stable labeling of the lipid regions of cell membranes.